Hi everyone! 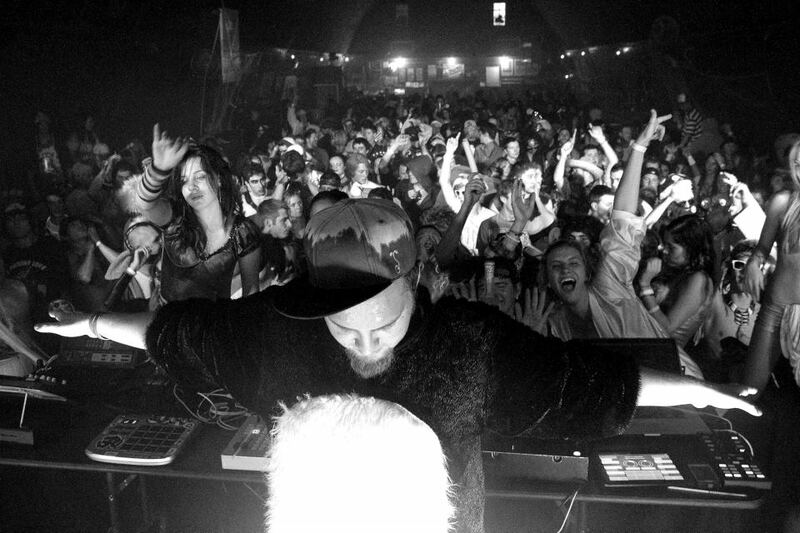 my name is Dan and I am electronic producer, DJ, and event promoter out of Boulder Colorado. I perform and release music under the name “Dan K” and more recently “Papa Skunk” and I also run a company called The Skunk Boyz. My music can found on soundclound and bandcamp. I use Logic to do all my production work and perform with Native Instruments Traktor. Enough about me, lets start talking writing and producing music. This brings us to the discussion of different types of remixes and what tools you will need to get them done. Here is where the internet can become your best friend because of places like http://acapellas4u.co.uk . This is a GREAT resource for acapellas and I go there to find just about all of the ones I use.Today I am going to be going over the different types of remixes you can make. The first thing you want to do is figure out the exact tempo of the original, this can be done in every DAW by matching up the click to the beat of the song, or dropping it in Ableton or Traktor. Trying to do this with older music is very difficult sometimes because the drummers did not always use click tracks so you can get some variation in the tempo which is hell to deal with. From there you will need to decide if you want to keep the tempo of the original song or change it using Ableton. It is easier to bump up the tempo if your only using an acapella for a remix and not other parts of the song. In order to get the acapella to sit right though, I HIGHLY recommend getting the original and matching the original with your remix and then match the acapella with the original. It is extremely difficult to match an acapella up properly without having something to gauge the tempo with. Pretty much every remix will fall into one of these categories, one of the main problems though is getting stems or acapellas. Acapellas are much easier to get but sometimes the song your looking for just isn’t available and the only way to get stems is directly from the artist. This is what forces me to create the different types of remixes strictly based on what is available to use. In the song above I created the entire thing, but felt it was missing something, and the Ludacris “How Low” acapella was it. I decided to use the buildup in the original song as a lead in to my song/Ludacris acapella, its perfect in a live situation to start a set because the crowd gets something that they know to draw them into the song and into your set. Another thing you can do is putting a small portion of the original during a breakdown and nothing else. An example of this is “Died in Your Arms Tonight (Monster!Monster! Remix)”. They used parts of the original in the breakdown and dropped into something they had written for the majority of the song. I Just Died In Your Arms (Monster! Monster! Choice Cutz Rmx) by Monster! Monster! I wrote this song for someone so I had the intention to do an Ellie Goulding remix, so it was a matter of finding a high quality acapella and picking a song I liked. I really dug the vibe of the original song, “The Writer”, so the best way I saw to do retain some of that was to learn the beginning piano part and recreate it in Logic. From there I actually tweaked the midi notes a little to fit more with the rest of what I wrote. By learning part of the original song I was very easily able to get the key of the original and then I could start crafting the rest. These last two ways are by far the best way to make a remix because you have access to stems from the original song. Having all the individual parts to a song makes crafting a remix much easier and allows you to get more creative. For the remix above I got all the stems and even some midi sections from Ben and immediately went to work. Having midi was a huge help and really made this remix come together. I was able to layer his synths and my synths together and they sync would be perfectly and could play the same notes of a 5th higher. My remix has a lot of the same sounds that the original does but with clever arrangement and sampling I was able to create something unique and fresh. For this song LoBounce gave me the whole song of a couple of different parts and I went in and picked out small portions I wanted to use and either looped them (drum parts) or dropped them into a sampler (bass/synth parts). I then pretty much wrote a whole new song using selective samples and parts throughout, keeping it in the same key as the original. I always throw on effects to the samples or stems though, like filters on the bass, so I can give it a little bit different feel which still retaining the integrity of the original sample. When doing this type of remix you can really do something very different than the original as far as tempo and style and create a whole new song. Most of the time when a remix album is released there is always at least one remix that sounds nothing like the original, this is exactly what I am talking about here. A VIP remix is usually made by the artist as a remix of a song they already wrote. This is a great way to spice up live sets because the people in the crowd may know one version of your song and you can surprise them with another. Plus since you wrote the song you have access to every part of the song and you can make a fresh take on an older tune. That is some pretty basic information about crafting a remix and the different ways to go about it. The whole thing with a remix is there is no rules really, you can take it as far or close to the original as possible. Let the song figure it out and keep an open mind going into it, you’ll end up with some very cool results this way. Next time I will be going over some points in logic and dance music production!